GitHub - tombaranowicz/BetterNewTab: Better New Tab is Chrome Extension which overrides your 'New Tab' page to suggest pages that you are usually visiting at this time (e.g. 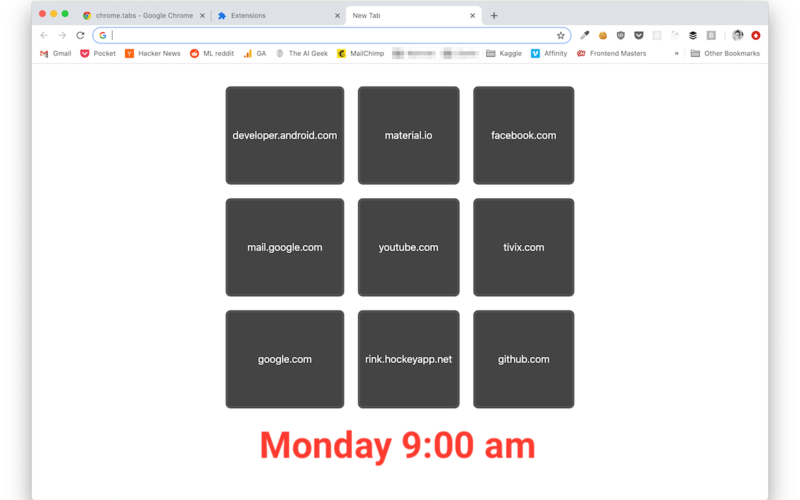 it's Monday, 9:00AM -> it shows websites that are most visited on Mondays between 8:30 and 9:30 AM). 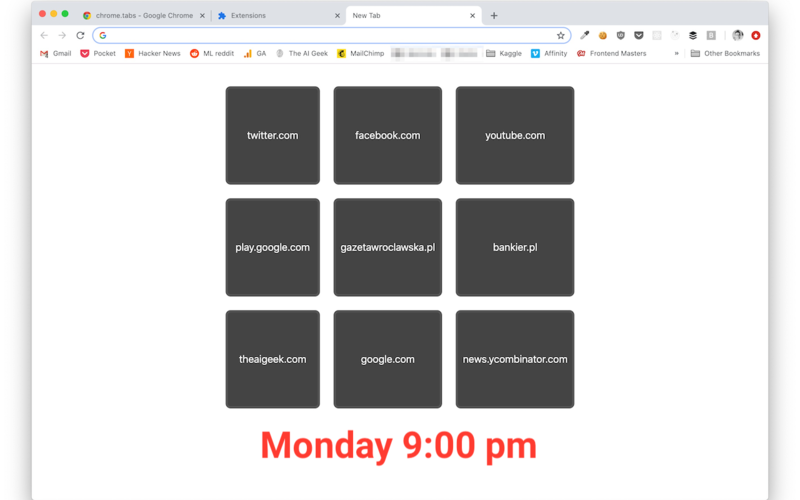 Better New Tab is Chrome Extension which overrides your 'New Tab' page to suggest pages that you are usually visiting at this time (e.g. it's Monday, 9:00AM -> it shows websites that are most visited on Mondays between 8:30 and 9:30 AM). Want to be notified of new releases in tombaranowicz/BetterNewTab? 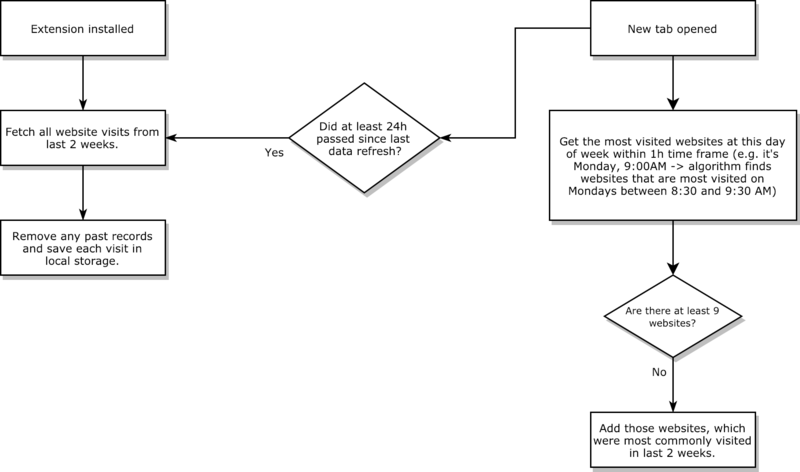 at work (Mon-Fri 9am - 5pm) i usually visit websites related to my projects, github, stackoverflow etc. 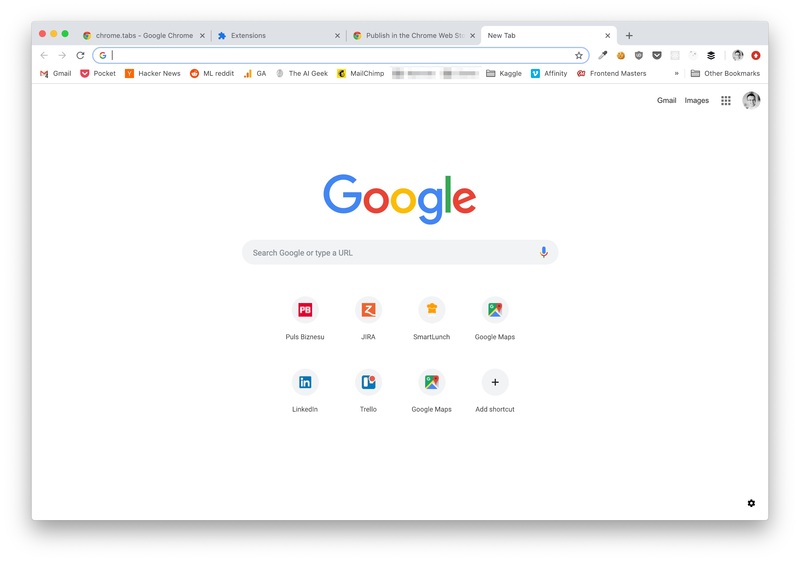 It doesn't look fancy, but at least works more efficient than standard new tab from Google. I hope you will also find it useful.